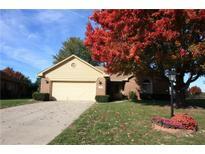 Below you can view all the homes for sale in the Pebble Run subdivision located in Greenwood Indiana. 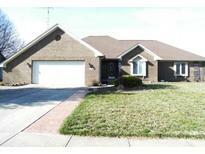 Listings in Pebble Run are updated daily from data we receive from the Indianapolis multiple listing service. To learn more about any of these homes or to receive custom notifications when a new property is listed for sale in Pebble Run, give us a call at 317-493-0959. Upstairs are 2 hugh rooms that are joined by an expansive walkway these can be additional bedrooms or Recreation rooms, walk-in attic space upstairs Updates in that last 2-3 years – bathtub/shower by bath fitters windows & slider at the backdoor by universal, HVAC, roof, & gutters, water heater, garage door & garage door opener, exterior painted. MLS#21635896. F.C. Tucker Company. HSA Warranty in place for $445. MLS#21630392. CENTURY 21 Scheetz. Great home in a great location. Move in Ready. MLS#21618251. IPRES, INC.
Great room has cathedral ceiling, gas or wood burning fireplace, wood beams & open concept. All appliances included. MLS#21604684. Mike Watkins Real Estate Group.